Shirdi Sai Baba Devotee Shylaja Ravikumar Malisetty From Europe: Om Sai Ram all, a small miracle that happened on Wednesday night 21st February, 2018 Europe time zone. I was preparing Khichadi for Baba to get ready for our Khichdi Parayan and it was not getting cooked for a very long time, so I poured some more water. I usually keep it on a low flame for about 5 or 6 maximum on electric stove and went to the living room and got busy with updates of 365 Parayan and Naam Jaap. When suddenly I heard the stove getting the click noise (when we increase or decrease or off the stove). Wondering what it might be so I went and saw, to my wonder the stove was in OFF mode. Who could have done it!! Barely not even 5 minutes back I had added water and it was done and the dal wasx also cooked to my amazement. It was a miracle and none other than Baba was doing it for me. Nobody in the kitchen and Baba telling me like, see the Khichdi it’s done. I had gone out of the kitchen saying to Baba (I usually keep talking to Baba in a friendly manner). Why it’s taking so much time Baba to prepare Your Khichdi. Often Baba shows His love for His children even though there was a minimal help required. This only shows He is always around us when we lovingly call Him. 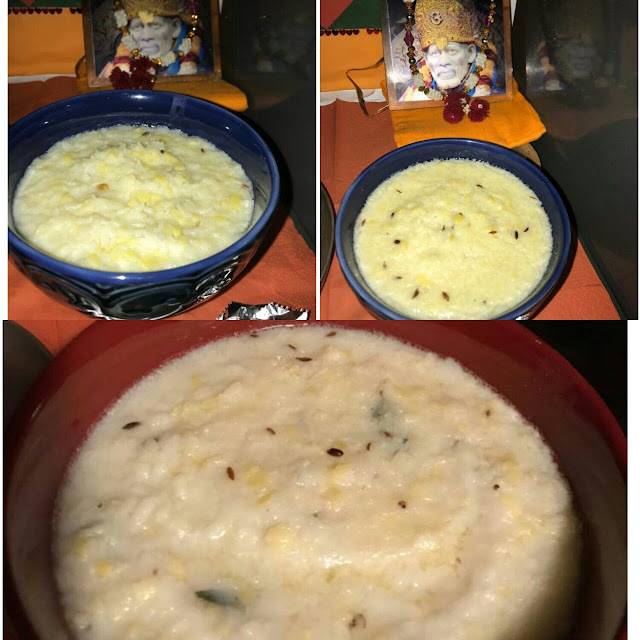 Baba helped me in preparing His Prasad. There have been many more miracles where Baba has shown me His presence. I would like to share a few of the pictures. In the first picture we can see "OM"sign and Baba’s side face with head gear and front face too. If we observe closely, in second picture we can see "Baba". In the third picture we can see a smiley face that I send to most of my contacts with good morning. Baba is always present surrounding His devotees and He shows His presence through such Leelas. Baba's leelas are unimaginable, unfathomable and beyond human intellect.